Suites are still available at Carmelina Condos, which is currently under construction. Thousands of people enjoy “The Taste of The Danforth” every year, and thousands more appreciate the convenience of residing a stone’s throw away from the lake. Now for those who savour the flavour of The Danforth, Carmelina presents a feast for the senses. An intimate boutique condominium residence that blends seamlessly with the fabric of the neighbourhood. Offering a spirited and independent lifestyle. 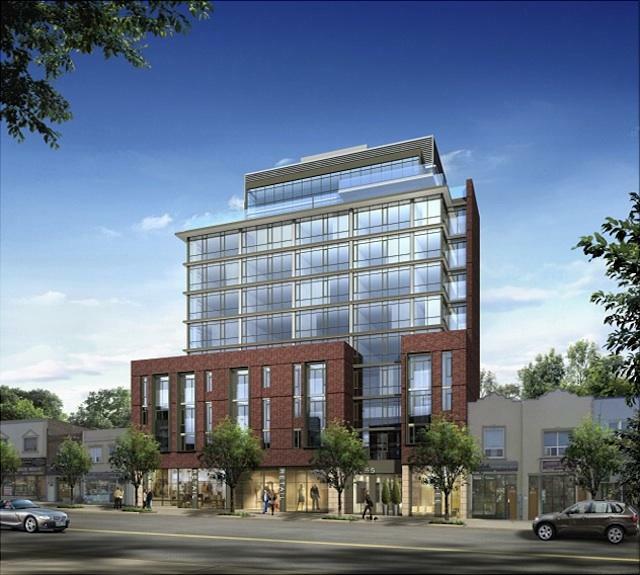 Carmelina Condos by developer Tre Memovia and designed by Tact Architecture, will be a boutique 12 storey tower (148 units) located at 2055 Danforth Ave, near Danforth and Woodbine. Available suites range in size from 512 sq ft to 1018 sq ft, and start at $324,900. Occupancy is scheduled for May 2014.